It’s that time of year again…time to fill your queue with the best Halloween documentaries that this year has to offer! Terrifying, disturbing, and bizarre…there’s something to fulfill each and every Halloween-ish craving you have. Some of these documentaries have been around for years and others are brand new, but every single one of them deserves a spot in your Halloween line-up. 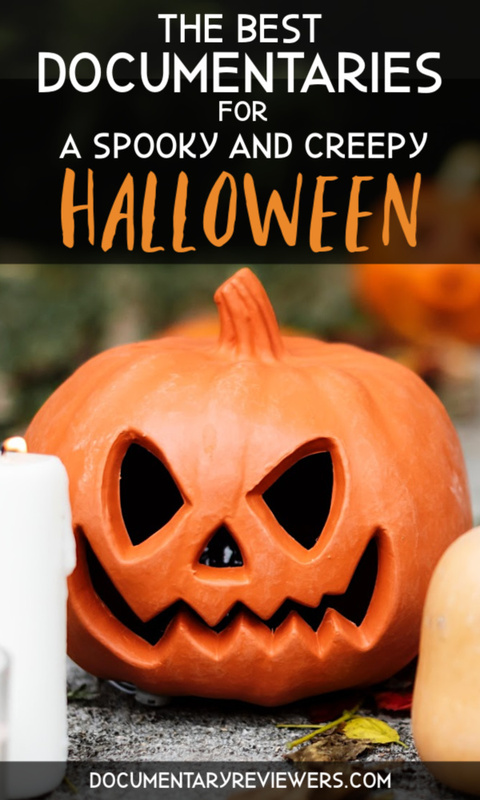 From witches and urban legends to murder and deceit, Halloween has a way of encompassing the weirdest of the weird and the most disturbing content out there. But one thing is for sure – the truth is always stranger (and more disturbing) than fiction, and that is why documentaries hold a special spot in the hearts of Halloween lovers. So get your Netflix queue ready. Time to plan out your whole Halloween season! No documentary is better suited for Halloween than Killer Legends. Let me assure you, the hair will be standing on the back of your neck, goosebumps will cover your arms, and you’ll definitely be wide-eyed as you try to fall asleep tonight. Killer Legends takes a creepy and terrifying look at four different urban legends that have been haunting us for decades. There’s the man with a hook that hunts unsuspecting visitors of Lovers Lane, deviant neighbors that lace Halloween candy with poison, babysitters murdered by the man upstairs, and of course, clowns that kill. We’ve all heard these stories, but Killer Legends takes these urban legends to the next level by researching and uncovering the truth…which is honestly more terrifying than the myths. If you want a terrifying documentary to spice up your Halloween, Killer Legends is absolutely the choice to make! You won’t regret it. Few Halloween documentaries are as perfectly suited for this creepy holiday as ones about witches – and Witches: A Century of Murder is the best of the best. A perfect mix of shocking historic events and disturbing facts will keep this Halloween documentary in your mind long after you’ve finished it. Starting in Denmark in the early 1600’s, the documentary traces the start of British witch hysteria and follows it to Scotland and then onto Great Britain, where hundreds of innocent men and women were tortured and murdered, all because they were feared to be witches. It is hard to believe these kinds of crimes truly existed and this documentary does an amazing job telling the story in a captivating, yet very disturbing, way. You may think you love Halloween, but can you compete with the families in The American Scream?? Because they LOVE Halloween. By following 3 dedicated Halloween-loving families throughout the year, The American Scream gives you a glimpse into the lives of home haunters…those amazing neighbors that create amazing haunted houses in their backyards. All for the joy of it. 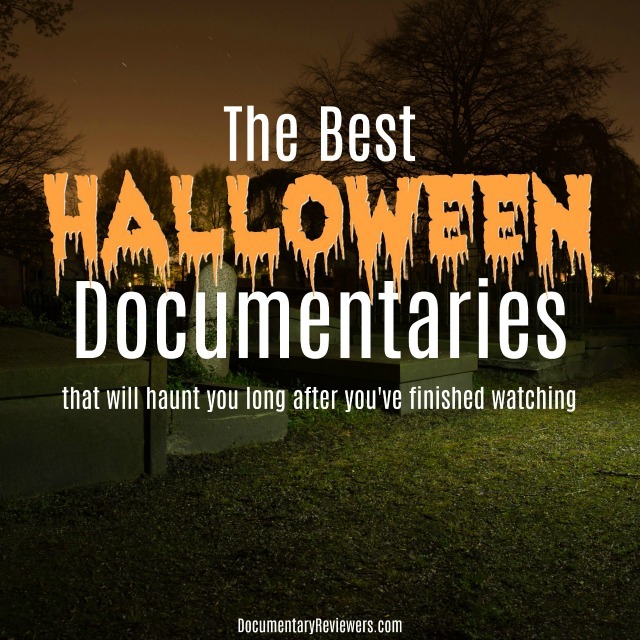 This Halloween documentary has a special place on this list because it’s the only one that you won’t finish with a creepy feeling in your stomach. Instead, you’ll have a smile on your face and your heart will be a little bit bigger…because somehow these families are just that amazing. Whether you love this holiday or not, this Halloween documentary needs to find its way onto your schedule. It’s a great one! Not every Halloween documentary needs to be about witches, werewolves, and vampires. Some are creepy and disturbing all on their own, and that is where Evil Genius falls. Covering the infamous Pizza Bomber Bank Heist, Evil Genius starts with disturbing and unforgettable footage of a man strapped with a bomb around his neck and sent into a bank, only to be apprehended by police and forced to wait out his demise. The terrifying crime sets into a motion a bizarre investigation that points to the only characters capable of coming up with such a diabolical plan. There is no doubt that Evil Genius will fulfill the terrifying, disturbing, and gut-wrenching criteria that a Halloween documentary needs to have. So add this one to your watch list! True crime and Halloween may go hand in hand, but certain true crime documentaries stand above the rest when it comes to the creepy and disturbing Halloween factor. And Mommy Dead and Dearest is disturbing in way that you truly need to see to believe. Gypsy Rose spent her life sick and handicapped. In and out of hospitals, being treated for all kinds of awful disorders and diseases, and dependent on a wheelchair to help her move around. That’s a devastating sentence for any child, but there’s something that makes Gypsy Rose’s situation way, way worse…because Gypsy Rose wasn’t actually sick. And she wasn’t actually handicapped. It was all the doing of her mother. But the documentary doesn’t end there. It gets stranger, more disturbing, and ultimately fatal. This is a true crime documentary perfect for a Halloween movie night. Ever wonder what it would be like to spend the rest of your life inside your bathroom? That’s essentially the life led by the men featured in Solitary: Inside Red Onion State Prison. And while they’ve arguably landed themselves in that very situation, it’s hard to not be disturbed by the effects that that type of isolation can have on a person. Seeing their cells, the prison, and especially “the yard” will haunt you long after you’ve finished this documentary. Every Halloween needs a good prison documentary and this is one of the best, so add it to your queue! If ever there was a time to embrace a new identity, it would be Halloween. But it’s usually short-lived…and people aren’t hurt by it. But what if someone stole your own child’s identity…and actually tricked you into believing they were actually him? It may sound too bizarre to be true, but that’s exactly what happened in The Imposter. Frederic Bourdin, a master con artist despite just barely being an adult, impersonates Nicholas Barclay, a young teenage boy who had disappeared from his Texas home 3 years prior. Despite Frederic not looking anything like Nicholas, he manages to convince just about everyone and is actually taken in by the Barclay family. The story is outrageous all on its own, but one thing that makes this an especially creepy documentary is the fact that it is narrated by Bourdin himself. This is definitely one of the best Halloween documentaries about a real-life villain. Sometimes real-life people are scarier than mythical monsters and that is the case with Craig Cobb, a notorious white supremacist that sets out to take over the town of Leith, North Dakota. Welcome to Leith chronicles the small town’s desperate fight to keep their town from being turned into a white supremacy haven, something Craig Cobb is determined to see happen. If you’re looking for that creepy pit in your stomach that goes so well with Halloween, then Welcome to Leith needs to find its way to your Netflix queue this year. It’s disturbing and terrifying…everything Halloween documentaries should be about (only this story is real). 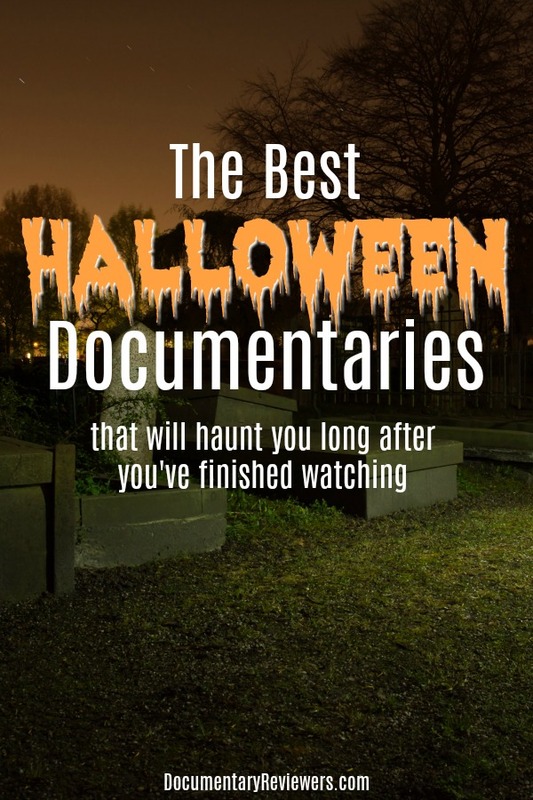 Hopefully you get your fill of documentaries for Halloween this year! Check back for new updates and we’ll make sure your queue is full of the absolute best!